Like EXE files in Windows, Android has its own format of installable App files called .APK. 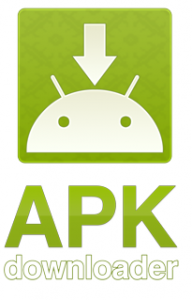 These APK files can be easily installed off the Google Play store app. All you have to do is search for the app in Play store and say install. But what if you wish to just download it (and not install) ?? Google doesn’t give you that option. There could be numerous reasons you might just want to download the file and not directly install it. You might have an old Android device which google thinks is incompatible with the App and you still want to try and install it or may be the app isn’t available for your non Google device (like Nokia X, Kindle, etc) or maybe not available for your country altogether. There could also be times when you just need to test the App on an emulator, but google doesn’t allow you to download it and you do not want to use 3rd party App stores. Lets see what options do we have in such a situation. 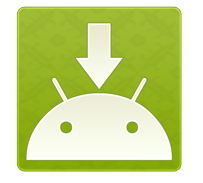 APK Downloader allows you to search for the App or enter name of the package directly. Once you hit the “Generate Link” button, it downloads the APK file in the background to its own servers and gives you a link to download it to your computer. You can directly use this site on your mobile for downloading the APKs or on a desktop though their dedicated Google Chrome Extension. If you do encounter some errors, check this site, they seem to offer quick support. just change is to //apkleecher.com/store/apps/details?id=com.viber.voip and the site gives you a link to download it. There is no support community for this site. APK-DL.com too has the same set of options and features that of the apkleecher.com. With no support community, This site too offers searching for the app by name, using the package name or the Play Store link of the app. Similar to APK Leecher, you can also change the domain name and create a download link for the app like below. //apk-dl.com/store/apps/details?id=com.viber.voip and the site gives you a link to download it. All these sites only allow download of Free App APKs only. Paid Apps are not allowed due to avoid Piracy. Leave your suggestions or if you find any better services offering APK downloads leave your comments in the section below ! Please note these services are listed here only for testing purposes, I do not endorse these websites in anyway and I should not be held responsible for any issues arising from the use of these websites or misuse / policy violation done by the users. thank you for tips to Download Android Apps APK files from Google Play Store . agine Thank you for your article.Much thanks again. Want more.